American soprano AANI BOURASSA is a versatile actress of emotional depth, praised for her “brilliant, yet sparkling high notes” (Burlington Hawkeye). In addition to her artist in residency at Ad Astra, noteworthy engagements include Larina (Eugene Onegin) and Second Lady (Die Zauberflöte) with Bel Cantanti Opera; solo recitals featuring the works of Bach, Purcell, and Barbara Strozzi; Passion and Resurrection (Ešenvalds) as part of the Latvian Embassy’s celebration of Latvia’s centennial; a world premiere of The Night Psalms by composer Griffin Candey and Dona Nobis Pacem (Vaughan Williams) with the Marquette Choral Society, as well as other oratorio, choral, and concert work. In addition to performing, Ms. Bourassa works as a producer for Acis Productions, a classical recording label and sings with the Songs by Heart Foundation, whose mission is to enhance the quality of life for those suffering with age-related memory issues through music therapy. JANIE BROKENICKY teaches applied voice and music theory at Kansas State University and is currently pursuing a PhD in Curriculum and Instruction. She is co-founder of the Flint Hills Children’s Choirs, based out of Manhattan, KS. The choirs have performed at the KMEA State Convention, collaborated with the KC Ballet and in December will perform with the Wichita Symphony Orchestra and soloist Chris Mann. As a soloist, Janie has been featured at The Kauffman Center (Kansas City), the Meyerson Symphony Hall (Dallas), and The Folly Theater (Kansas City). Additionally, she has been a guest artist for the Wichita Chamber Chorale, Hays Symphony Orchestra, Flint Hills Masterworks Chorale, and served three summers as artist-in-residence for the Ad Astra Summer Music Festival. Last spring, she took on the infamous role of The Queen of the Night in the KSU production of Mozart's The Magic Flute. In addition to vocal music, Janie holds a degree in mathematics (hence her love for music theory) and is an accomplished oboist. MICHAEL DAVIDSON holds a Bachelor’s of Music degree in Voice from Loyola University New Orleans and a Master’s of Music degree in Voice from the University of Kansas. While at the University of Kansas, he was on stage in several operas including playing the role of Ferando in Mozart’s Cosi Fan Tutte. Professionally, he has sung with both the New Orleans Opera and The Kansas City Lyric Opera choruses, as well as the Eutin Summer Opera Festival in Eutin, Germany. Michael has performed now in two choruses accompanying Placido Domingo, and has worked with some of the nation’s foremost vocal coaches including John Wustman, Martin Katz, Russell Miller, and Leonardo Vordoni. 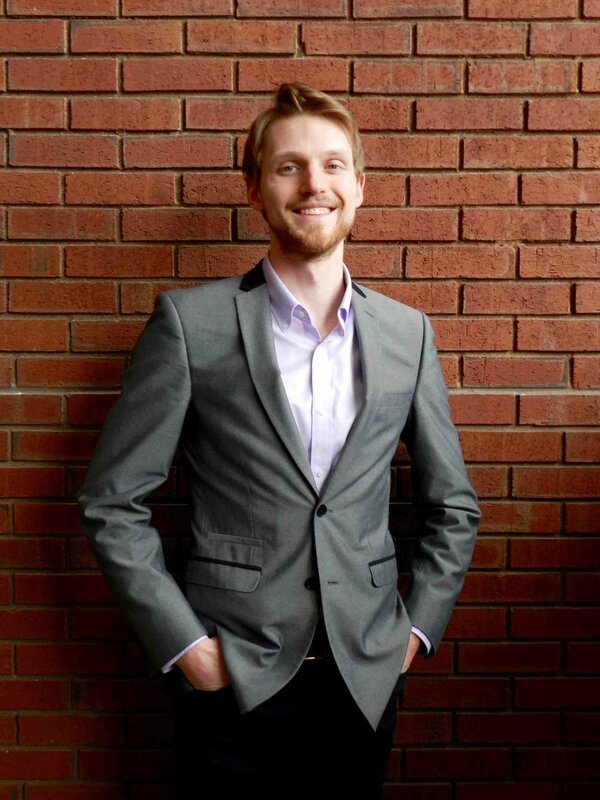 Currently Michael teaches vocal music at Russell High School and Ruppenthal Middle School. Michael’s most recent projects include directing/producing Cinderella at RHS and directing music for Godspell at Barton County Community College. SASHA HILDEBRAND is honored to be working with the Ad Astra Music Festival for the first time this summer and with her good friend and festival director, Alex Underwood. She is a native of Stafford, Kansas and is currently working as the Assistant Professor of Theatre and Artistic Director for Sterling College in Sterling, Kansas. Sasha holds a B.A. in Theatre and Communications from Sterling College, a Post-Graduate Degree in Acting from The Liverpool Institute for the Performing Arts in Liverpool England, and an MFA in Theatre from the University of Iowa. Sasha's first love is performance and she has worked academically and professionally across the country and in Great Britain—specializing in musical and classical theatre performance with such companies as Drury Lane in Chicago, the Chicago Academy for the Arts, the Texas Shakespeare Festival, the National Youth Theatre of Britain, and the Springer Opera House Theatre Academy of Georgia. Directing is equally important to Sasha—with some of her favorite past projects being Shakespeare’s The Tempest, Romeo and Juliet, and The Taming of the Shrew. Sasha’s other passion is costume design—with over 50 shows completed and some of her favorites being A Little Night Music, Macbeth, and The Boyfriend. Sasha is extremely excited to be working and collaborating on such challenging and creative projects with a set of immensely talented people, and she hopes the audiences will walk away truly inspired by the music and the visual story-telling. KATELYN MATTSON-LEVY, mezzo-soprano, has been recognized as an artist of great passion and sensitivity. Katelyn is a two-time award winner of the Metropolitan Opera's National Council Competition at the district level, first place recipient in the National Opera Association Competition, and a finalist in both the International Contemporary Opera Competition and Liederkrantz Foundation Competition. Operatic roles include Contessa Almaviva in Le Nozze di Figaro, Micaela in Carmen, Donna Elvira in Don Giovanni, Mimi in La Bohème, Fiordiligi in Così fan tutte, Lady Billows in Albert Herring, and Rosalinda in Die Fledermaus. On the concert stage, Katelyn has proven herself a recitalist of the highest caliber, described as "...performing with deeply emotional perspective” by the Bellingham Herald. Katelyn has performed with the Des Moines Metro Opera, Opera Kansas, Cincinnati Opera, Illinois Symphony Orchestra, Musica Sacra of Cincinnati, Chicago Chamber Orchestra, Southern Illinois Music Festival, and the Bellingham Festival of Music. She is a native of Sterling, KS and is an announcer with Kansas Public Radio. Canadian conductor and composer PATRICK MURRAY directs the University of Illinois University Chorus, and is a visiting artist with Illinois Summer Youth Music and the Ad Astra Music Festival in Russell, Kansas. A passionate advocate for new music, Murray previously served as Music Director of FAWN Chamber Creative (Toronto), where during his tenure he premiered two new chamber operas by emerging Canadian composers, as well as numerous interdisciplinary new music and media works. As a conductor, Murray has collaborated with the Illinois Modern Ensemble, Yale Voxtet, Yale Camerata, Thin Edge New Music Collective, Toy Piano Composers, and the University of Toronto New Music Festival. Equally at home in contemporary and historical performance, Murray has performed as a chorister with the Yale Schola Cantorum under the direction of noted Baroque specialists David Hill, Masaaki Suzuki, and Simon Carrington, and with the Illinois Bach Festival under Andrew Megill. An award-winning composer, Murray’s choral and chamber compositions are regularly commissioned and performed by ensembles across Canada and the United States.